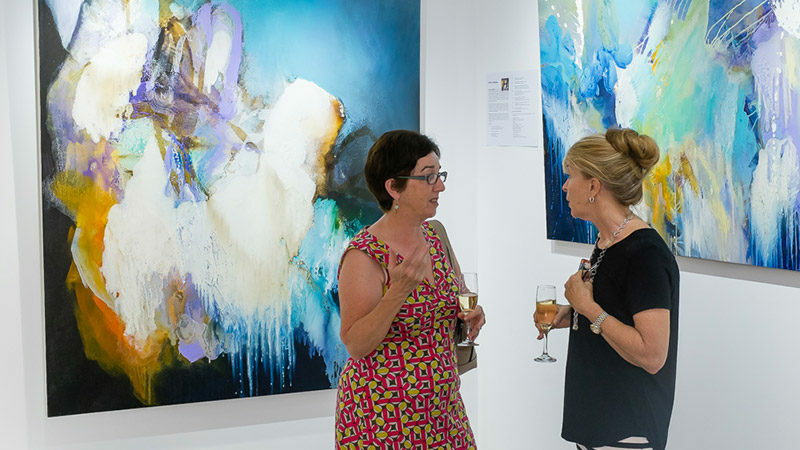 Jive Contemporary Art Noosa is located on Hastings Street in the heart of Noosa Heads. Jive exhibits a tightly edited collection of contemporary paintings, Aboriginal art, glass sculpture and unique jewellery (for our online jewellery store, see www.jivedesign.com.au). While nothing can compare to viewing the art in person, our online gallery endeavours to share with you the sense of pleasure and excitement that each of these art works invoke. Jive features the very best in contemporary art across a range of styles. Among them, the complex and dramatic paintings of one of Australia’s leading abstract artist — Michael Whitehead; strikingly evocative works by international artist Katherine Woods; the contemporary musings in oil of Dan Mason; bold statements by Conchita Carambano; the rich, sensual and timeless glass art of Lucas Salton, Holy Grace and Chris Pantano. We also feature Aboriginal art from the emerging and established artists of Australia’s most important Aboriginal Art regions — artists: Kathleen Petyarre, Gloria Petyarre, Lily Kelly, Jeannie Petyarre, Kudditji Kngwarreye, Ronnie Tjampitjinpa, Joy Kngwarreye Jones, Betty Mpetyane, Evelyn Pultara, Anna Pitjara, Candy Nakamarra, Lorna Brown Napananka, Christoper Poulson, Andy Gibbs, Susan Pitjara Hunter and many others. Jive is a lively space where the staff are warm, welcoming and knowledgeable and the atmosphere as laid back as you’d expect of a gallery on one of Australia’s most beautiful beaches. Whether you are a devoted collector or a first-time buyer, the bold and vibrant contemporary art works on display at Jive will lift your spirits. And if you can’t visit us in person, we hope you find enjoyment, inspiration and pleasure in the talent of the artists we proudly represent in the online version of our gallery. 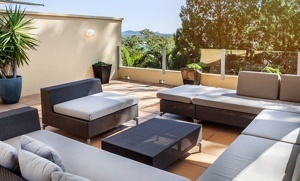 Our luxury Noosa accommodation offers the best Noosa holiday rentals in Noosa, Sunshine Beach and Noosa’s eastern beaches.